All good things come to an end. The challenge is to learn from our investments (our choices and decisions), savour the good bits, learn from the not-so-good bits, and move on. As 2018 closes, so does CEED. We’ve come to the end of our funding but we leave a legacy that I hope will serve Australia and the global conservation effort for generations to come. The vision that we set forth for CEED was to become the world’s leading research centre for solving environmental management problems and for evaluating the outcomes of environmental actions. As CEED reaches the end of its funding cycle, how have we fared? In terms of outputs, CEED has been a stellar performer at producing scientific publications and delivering cutting-edge research. Our science is widely cited by researchers around the globe, but also in primary government reference materials such as the State of the Environment Report. Indeed, CEED’s contribution to the environmental sciences has made a major contribution to Australia’s high standing in this field. In our final years we initiated an effort to evaluate the impact of our Centre of Excellence. We now have evidence that CEED has achieved more impact in environmental decision making than would have been possible by the sum of all the individual, smaller research groups that makes up CEED. This is due to the networks and collaborations that have been possible as a result of the significant investment from the Australian government (in the Centre of Excellence program). As such, our evaluation also captures how CEED has contributed to training the next generation of research leaders and improving research communication and outreach. One of CEED’s legacies will be our attempt to develop a framework to measure CEED’s impact, a methodology that can be applied to any research network (see Decision Point #106 for details). Pictured here is the working group that developed the framework. From left (front row) are Sarah Bekessy, Dave Pannell (who led the evaluation), Tas Thamo, Tammie Harold, Eve Macdonald- Madden; (middle row), Kerrie Wilson, Jonathan Rhodes, Richard Hobbs, Margaret Byrne; (back row), Tony Peacock, Alistar Robertson, Vanessa Adams and Kathy Avent. Of course, one of CEED’s greatest legacies will be its people. CEED commenced in 2011 and has now generated a well connected alumni network that spans the globe. These incredibly capable researchers are receiving national and international recognition for their achievements. They are securing coveted positions in the academy, and taking up leadership roles in in governmental and non-governmental organisations. Over the life of our Centre, the field of environmental decision science has grown from a little utilised academic pursuit to become a cornerstone of environmental policy. Our sustained efforts at research outreach and communication has been fundamental for this achievement; which brings me to this issue of Decision Point. Decision Point is a fine example of CEED’s communication and outreach. This final issue is #107! It’s been running for over a decade (with CEED as the major supporter), generated well over 1,000 research stories, and we’ve also produced four issues of a Spanish-language version (Decision Point en Español). These are considerable milestones, but it also represents a significant investment made by CEED in communicating our research in an attractive, engaging and ongoing manner for the benefit of the wider community. 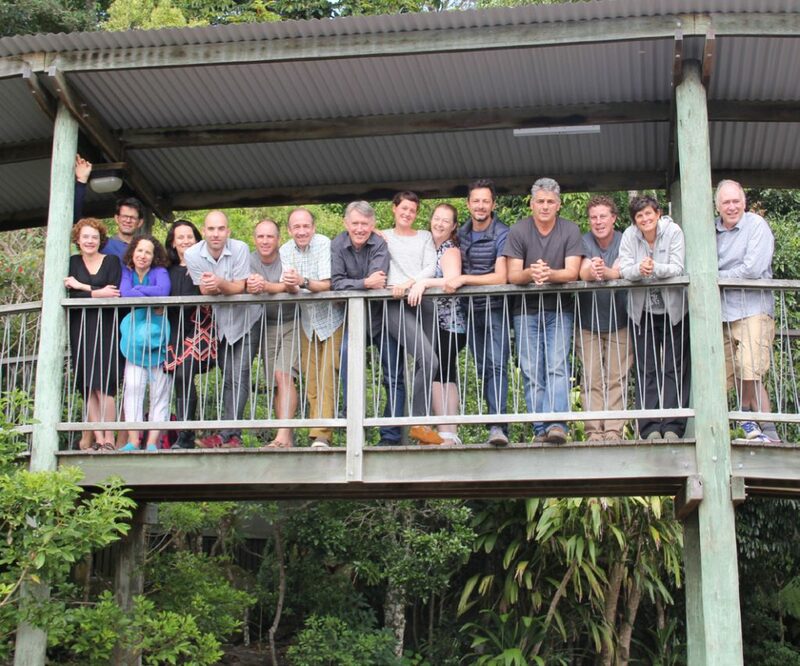 CEED CIs and support staff at a writing retreat last year – the genesis of this bumper issue of Decision Point. 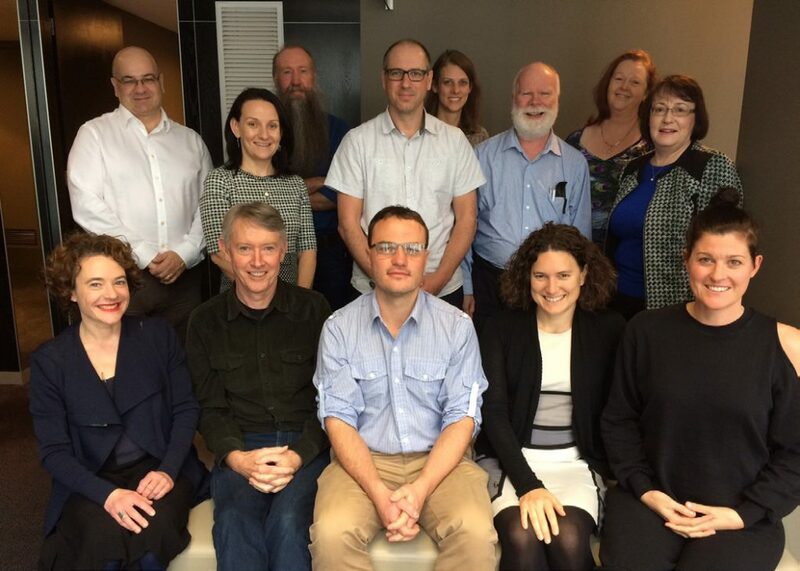 Pictured from the left are Sarah Bekessy, Peter Vesk, Salit Kark, Kerrie Wilson, Michael Bode, Jonathan Rhodes, Mike Runge, Dave Pannell, Eve Macdonald-Madden, Kathy Avent, Brendan Wintle, David Lindenmayer, Terry Walshe, Iadine Chades and David Salt. 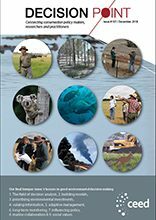 The feedback we get on Decision Point has been uniformly praising and, along with our other communication and outreach activities, Decision Point has made a significant contribution to a cultural shift in policy formulation in Australian governments at all levels; a shift away from ad hoc, opaque decision making (in regards to policy relating to nature, environment and threatened species management) towards more accountable, systematic and adaptive decision-making. And this final issue is indeed a bumper issue consisting of nine extended stories on different dimensions of environmental decision science (all authored by CEED CIs; the idea for this collection began at a writing retreat at the beginning of 2017). Each story provides several case studies from the history of CEED (and Decision Point) so this issue makes for a nice reflection on the life and times of CEED – which, in retrospect, has been a fabulous time full of rich learnings, valued comradeship and important discoveries.